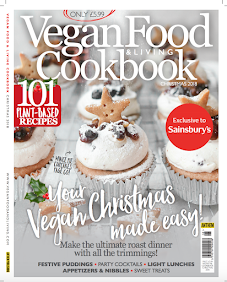 To celebrate this day and these beautiful animals, I've made some delicious and extremely moorish macarons with a filling of dairy-free white chocolate ganache. 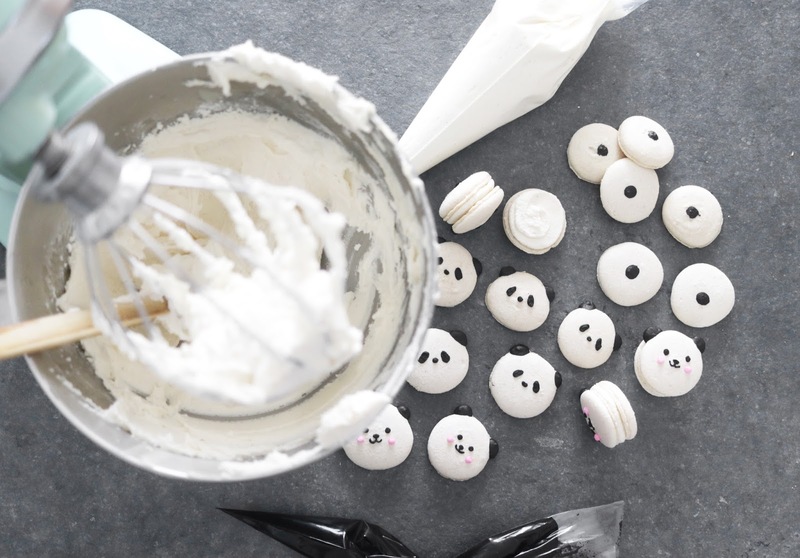 These Panda bear macarons are a simple to make and decorate, perfect quick & easy treat. Did you know giant Panda's are classed as 'vulnerable'!? Only approximately 1864 remain! How sad is that?! They've been affected by: Habitat loss and fragmentation, climate change! We need to make a change NOW. Click here to find out how you can help these beautiful, fluffy bears! Click here to adopt a Panda!! 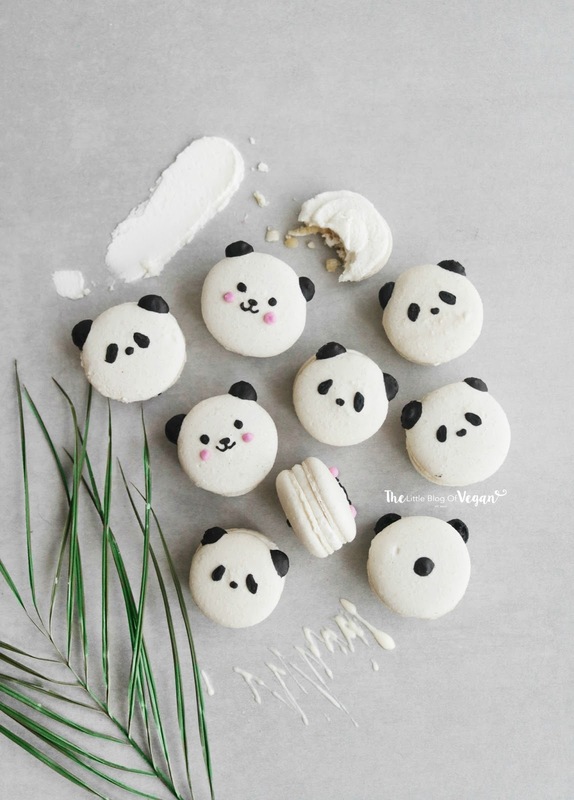 I had so much fun making these adorable, yet delicious Panda bear macarons!!! The white chocolate filling is perfectly sweet, but not too sweet! 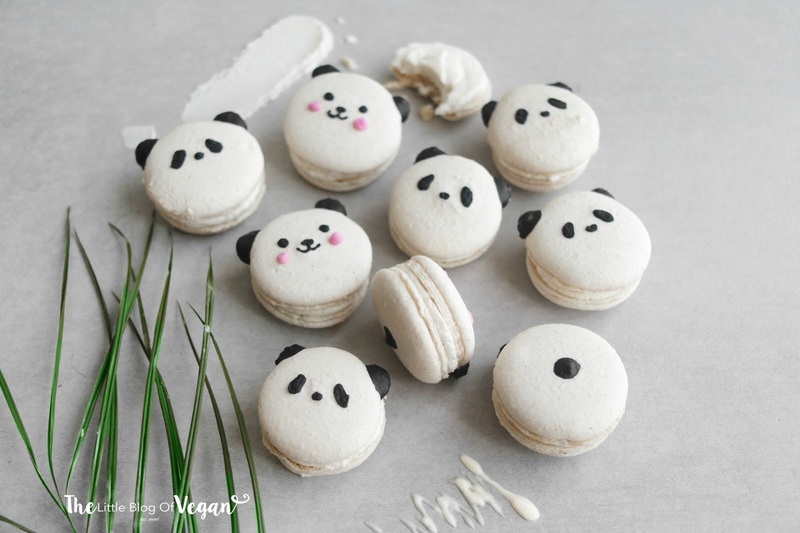 You'll love these macarons, perfect for themed birthdays, animals lovers and special occasions! 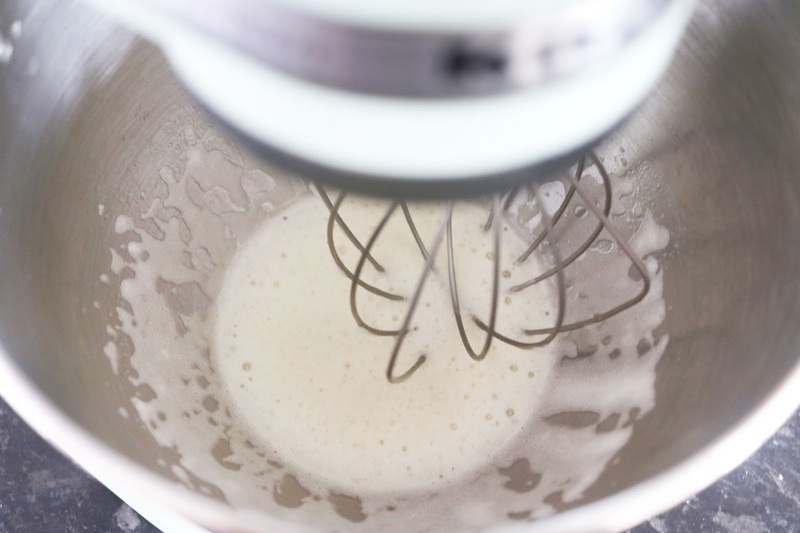 Step 6- Leave the large amount of batter plain white and add some black food colour to the small amount of batter. Step 8- Transfer the mixtures into piping bags and pipe 3-4-inch round circles of the white batter on the lined tray, then swirl the tip off to one side. With the black, add little ears (as you an see in the photo). ALLOW THE MACARONS TO STAND AT ROOM TEMPERATURE FOR 1 HOUR, until you can touch the top of the macarons and no batter comes off on your finger. Pop the macarons into the oven and bake for 18-20 minutes, or until they are set but not brown. 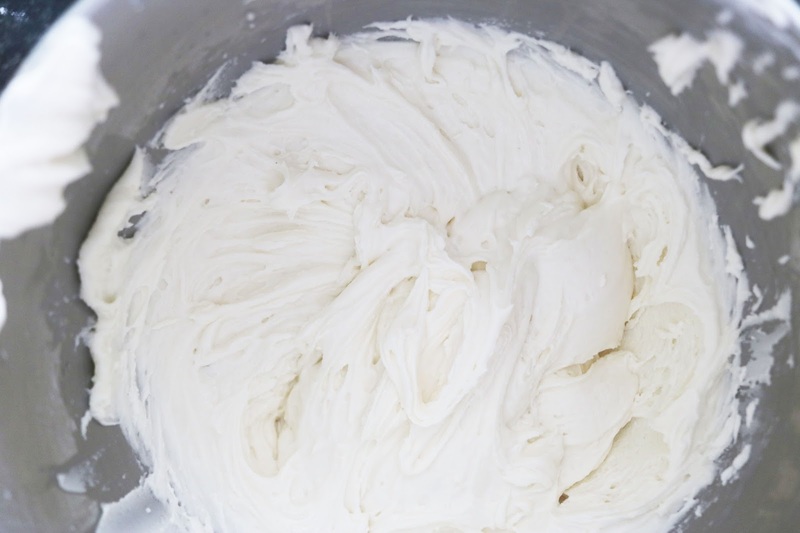 Step 1- In a bowl or stand mixer, cream the butter on high then add in the cooled melted chocolate and add in icing sugar. 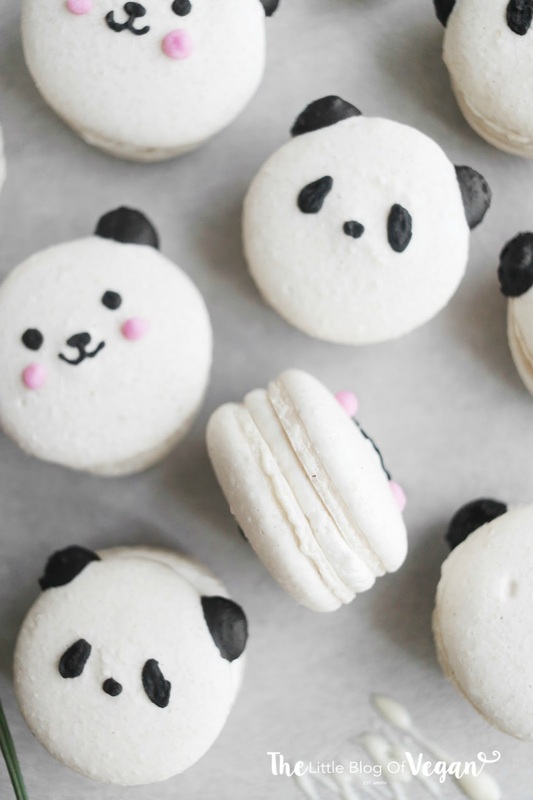 These macarons have to be the most beautiful and cutest I've seen in a long while! Absolutely adorable! 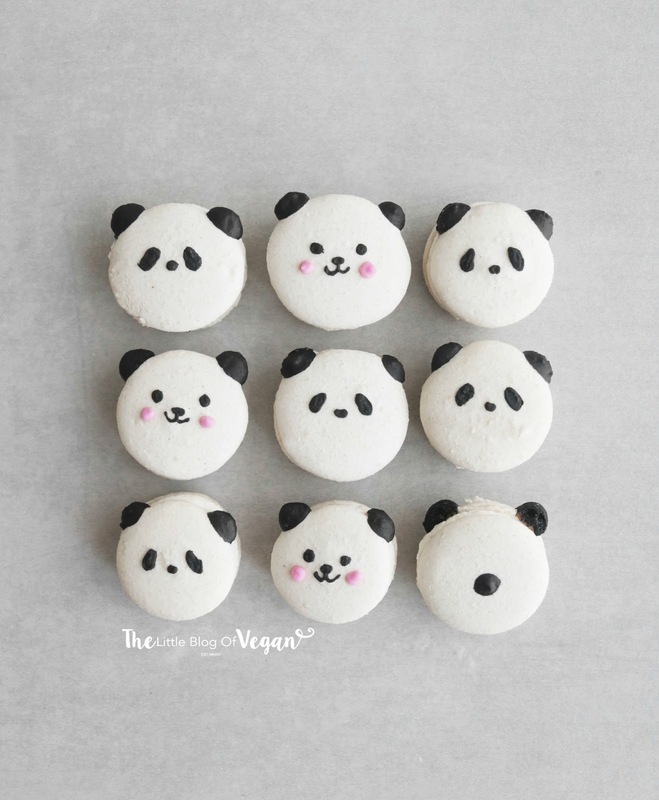 These panda macarons are too cutie to be eaten. Will make these for the kids. Can you freezer these and are they good for later? I don't have a kitchen scale. What are the ingredients using cup measurements? 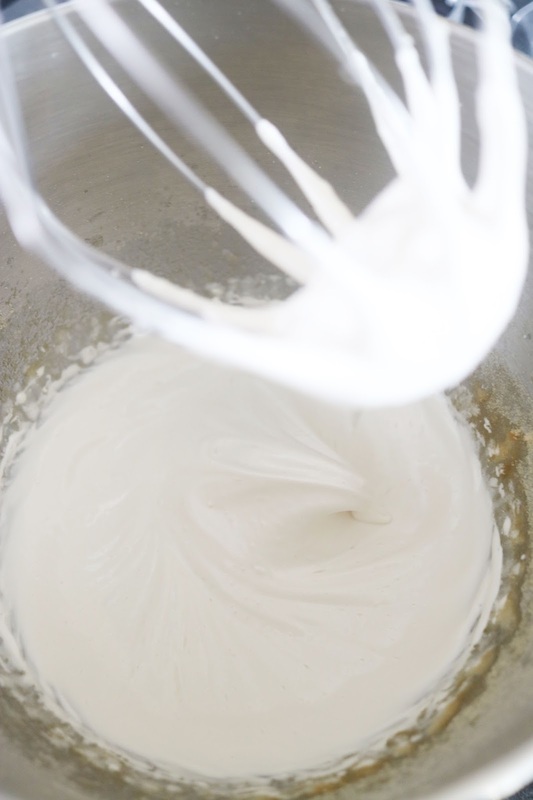 I just tried this and the mixture was so thick...I guess an epic fail. 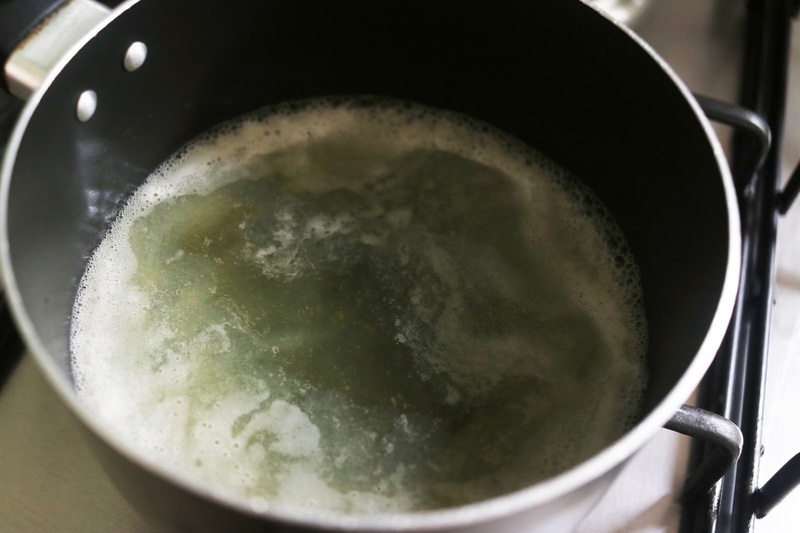 Anything I can do with super thick mixture? 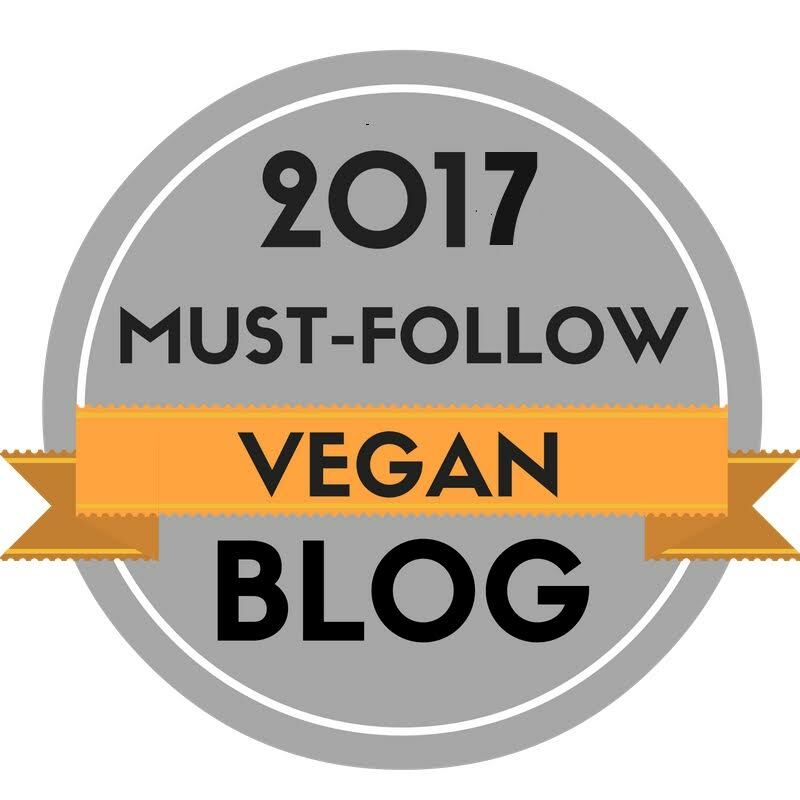 I tried to figure out the measurements in cups since I do not have a food scale. I really messed up as my mixture was sooo thick. Any idea the cup measurements? ?